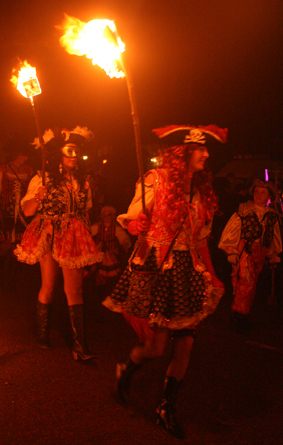 Bonfire night is something which is taken quite seriously in Sussex especially in Lewes which is known as the bonfire capital of the world. Bonfire night is the night the country celebrates the failure of Guy Fawkes and his companions to blow up the Houses of Parliament in 1606, although after 400 years it has evolved into more of a social occasion with a fireworks display. In Sussex bonfire night also commemorates events nearly a hundred years earlier during the reign of Queen Mary. Henry VIII had set in motion the change from the Catholic religion to a Protestant one, his son Edward VI had taken the reforms further so that when he died in 1553 we were no longer a Catholic country. Edward's sister Mary who now became queen, however, was Catholic, and she set about returning the country to that religion. In her attempt to do that she executed, mostly by burning, about 283 Protestants including bishops and the archbishop of Canterbury. This action only made Protestants more stubborn and fed their dislike and distrust of Catholics; those who were executed became martyrs. Seventeen of those martyrs were burnt on the High Street in Lewes outside the Star Inn (now the Town Hall) so bonfire night doesn't just celebrate the failure of another Catholic plot it also remembers those seventeen martyrs and there is still an anti-Catholic feeling to the event with the annual burning of the pope (the pope of 1605 rather than the current pope) and Cliffe Bonfire Societies "No Popery" banner. 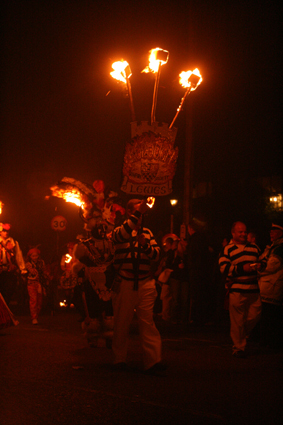 A burning cross for each of the martyrs is carried through Lewes on the night of the 5th November. 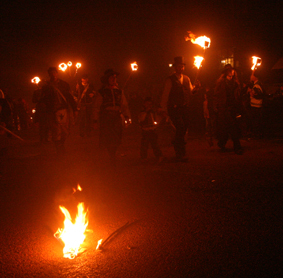 The Mayfield bonfire night commemorates two local residents who were burnt in Lewes and another four who were executed in the village itself. 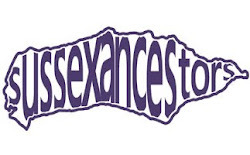 Initially events were random and unorganised but in the 19th century Bonfire Societies were set up in many towns in Sussex; Lewes currently has six Bonfire Societies and there are 30 others around the county. Because of the large number of societies it is not possible for them all to hold their events on the 5th November so the bonfire season begins in September in Uckfield and ends late in November in Robertsbridge and Barcombe. 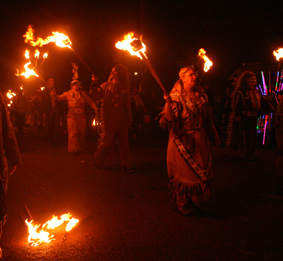 The parades through towns tend to be very noisy and colourful, with torches, traditional costumes and fancy dress, bangers, bands and burning tar barrels, all of the Bonfire Societies attend each other's parade and the events can go on until late in the night. Quite why bonfire night has become as important as it has in Lewes and Sussex is not clear but there is a lot of history involved as well as current issues which usually influence the effigies burnt on the night and often cause controversy - George Bush and British Transport Police were burnt in 2006, 'fat cat' bankers in 2009, Firle burnt an effigy a gypsy caravan complete with occupants in 2003 (arrests were made for inciting racism), Cliffe Bonfire Society had an effigy of a seagull in 2007 (objecting to the building of the new Brighton & Hove football stadium on land designated as an area of outstanding natural beauty) and others burnt include Osama bin Laden, Condoleezza Rice, Ulrika Jonsson, Steve Irwin, Tony Blair and Saddam Hussein. the sending up of four fire balloons.